Closet Goth performs in the State Press newsroom in Tempe, Arizona, on Saturday, April 7, 2018. SP Sessions: Closet Goth brings the noise from The State Press on Vimeo. In this SP Basement Session, ASU student-led band Closet Goth visited The State Press and rocked the newsroom. 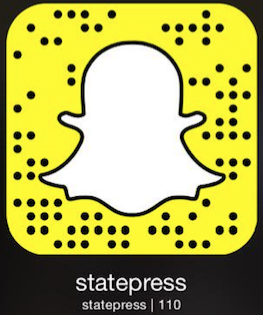 Reach the reporters at mmbaiett@asu.edu, gharman@asu.edu and awestfa2@asu.edu or follow them at @marcellabaietto, @GregPHarman and @WestfallAustin on Twitter.